There is a mistake in this weather forecast for our city; comment on this post discovering this serious mistake and get a chocolate bar. For further information or get your prize, speak to David Sánchez, 3rd A Primary education classroom. 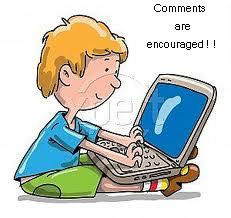 Good luck and comment on the post!! Soy Ernesto Castano mistake is showers,is rain. Hi Ernesto, Good try ... but showers means a light fall of rain or snow. On Monday, tell me I have to give you some candy!! Hi! soy Esther García yo creo que el error está en que tiene que poner "Partly Sunny" en vez de "Partly Cloudy". Hi! "Partly sunny" is not so common used as "partly cloudly" ... Good job but you have to try again! You have gained asome sweets, try again to get the chocolate bar. See you tomorrow Esther! Hi! I think, the mistake is that our city is in Spain and it says "Salamanca, NY" in EEUU. YESSS! You got it Esther. So ... now you know there is another city called Salamanca in New York. Enjoy your chocolate! !